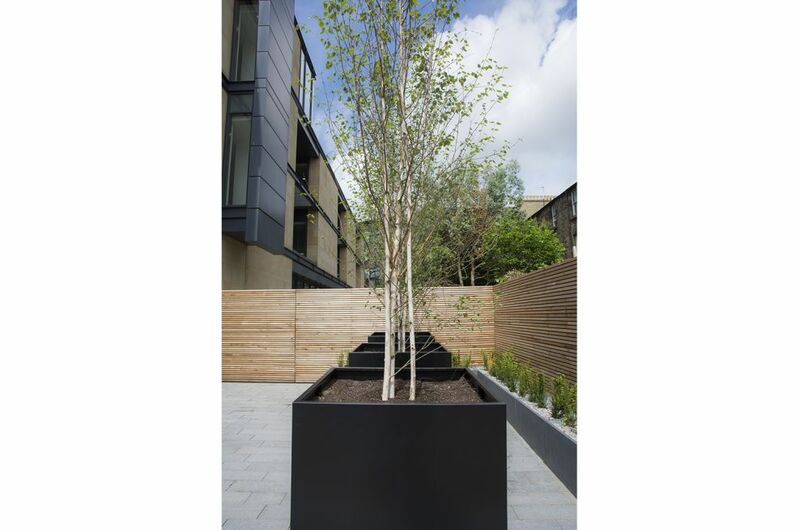 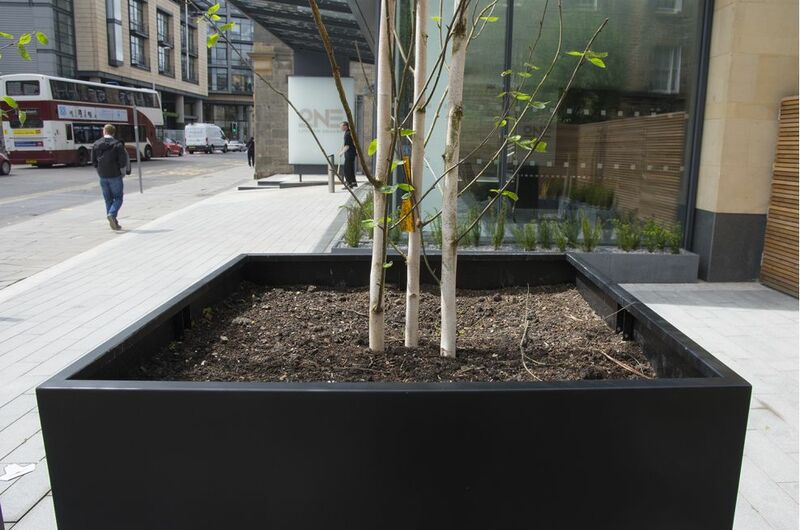 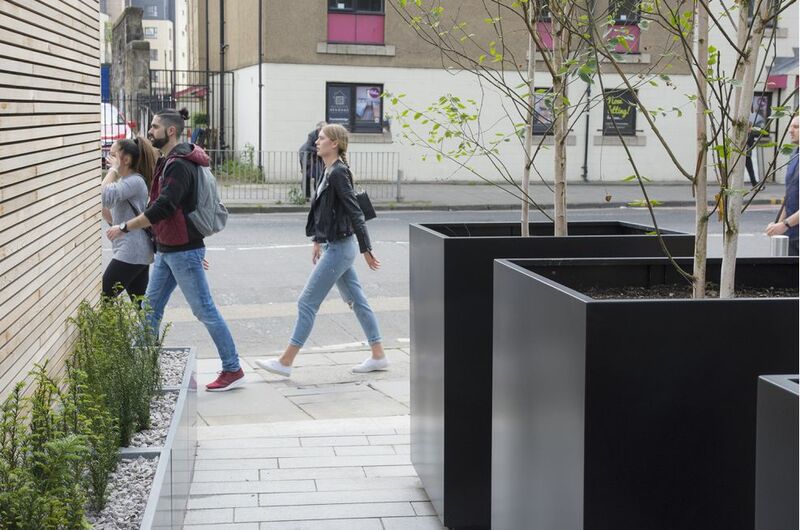 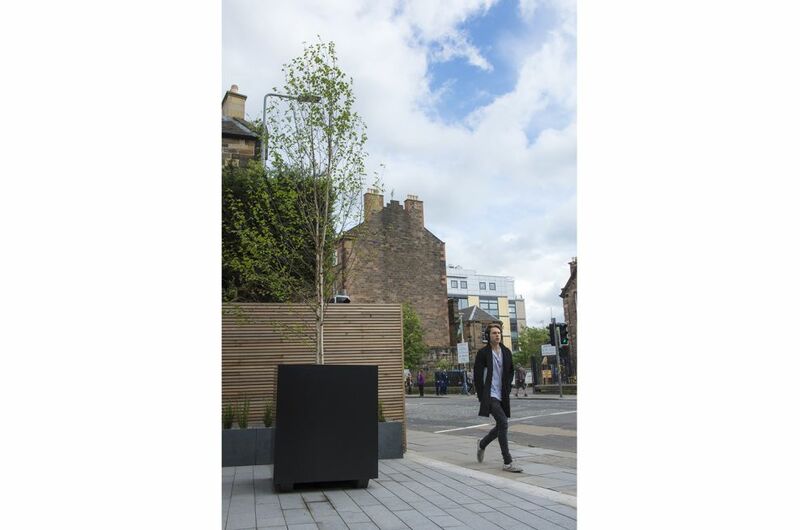 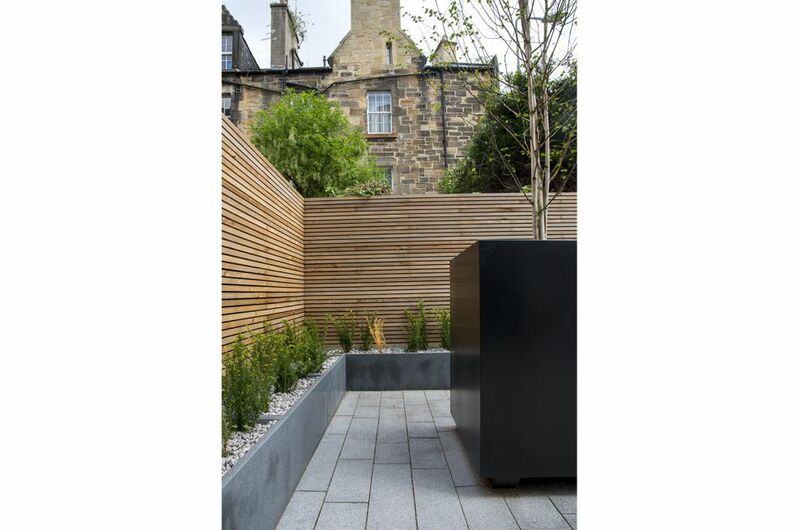 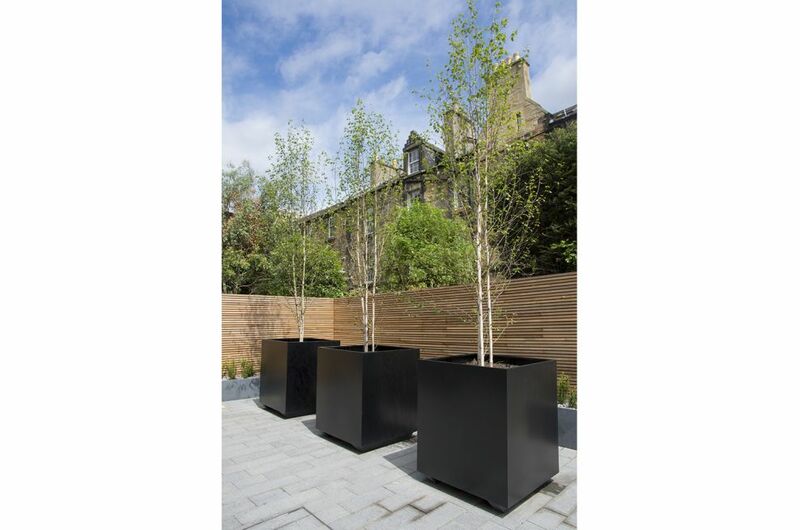 Bespoke steel planters were commissioned for the refurbishment of One Lochrin Square – Edinburgh’s largest office building, in the heart of The Exchange District. 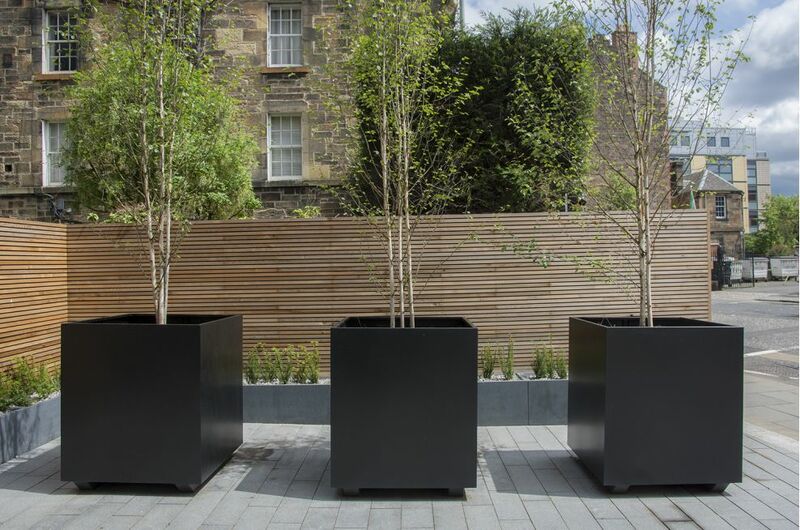 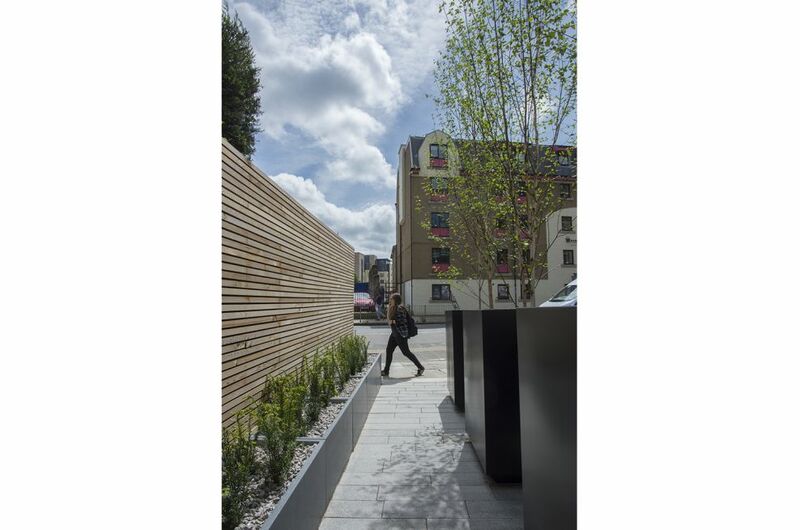 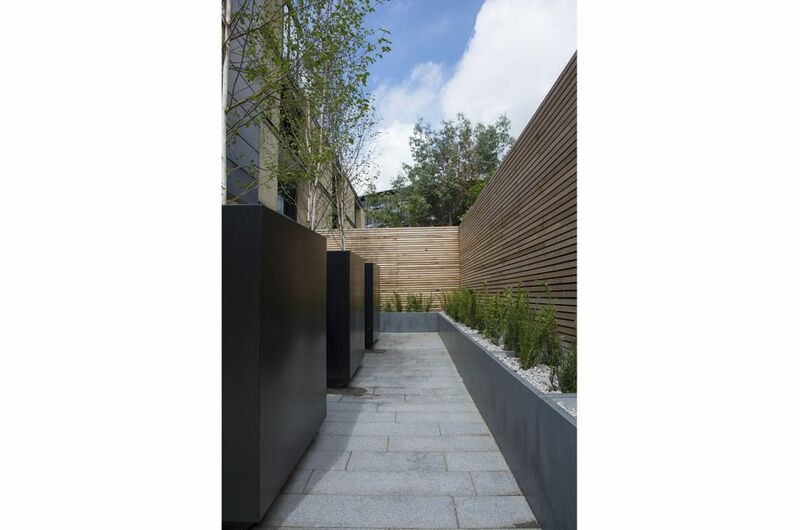 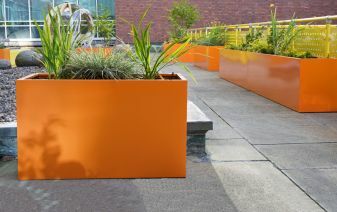 The planters were manufactured from 2.0mm thick Zintec Steel, Polyester Powder Coated to RAL 9005 [Jet black], with dims. 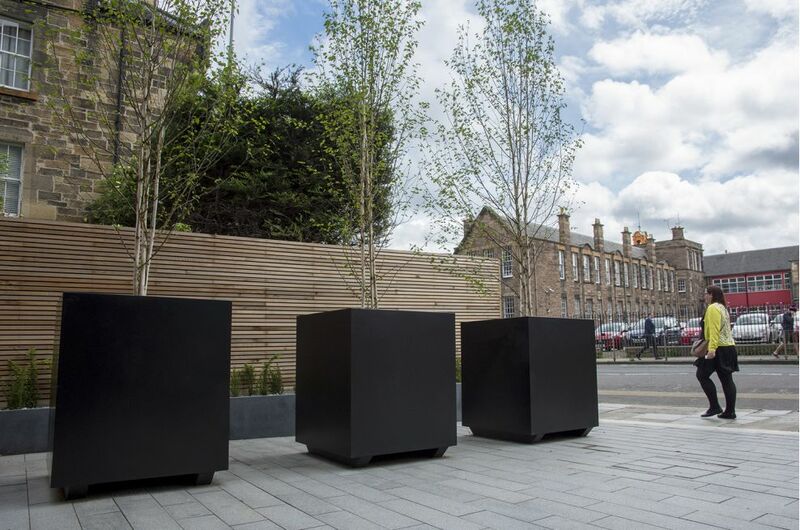 L 1000 x W 1000 x H 1195mm. 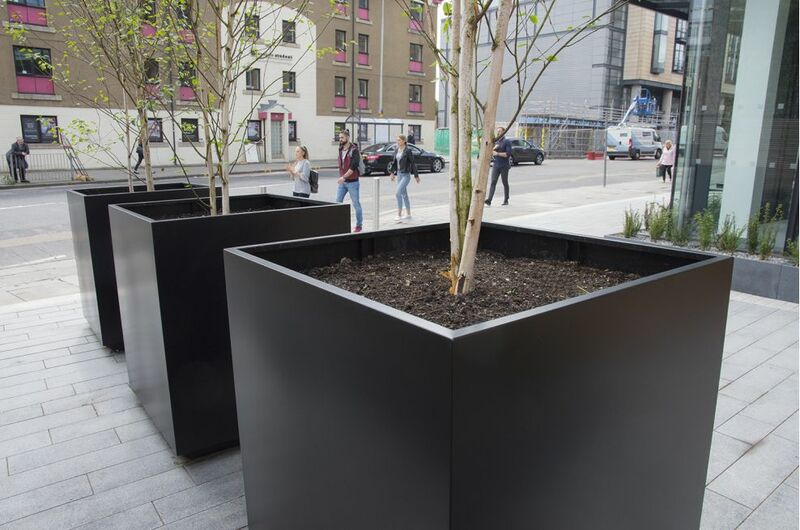 Designed to be moveable and suitable for tree planting, the planters included both internal water reservoirs, plus attachment points for a rootball anchoring system; and design also incorporated H 95mm runners at the base, for movement via forklift or pallet truck. 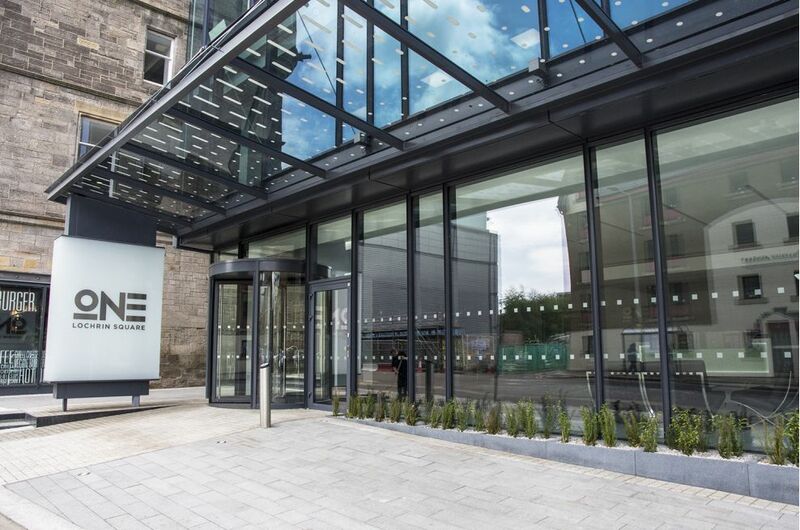 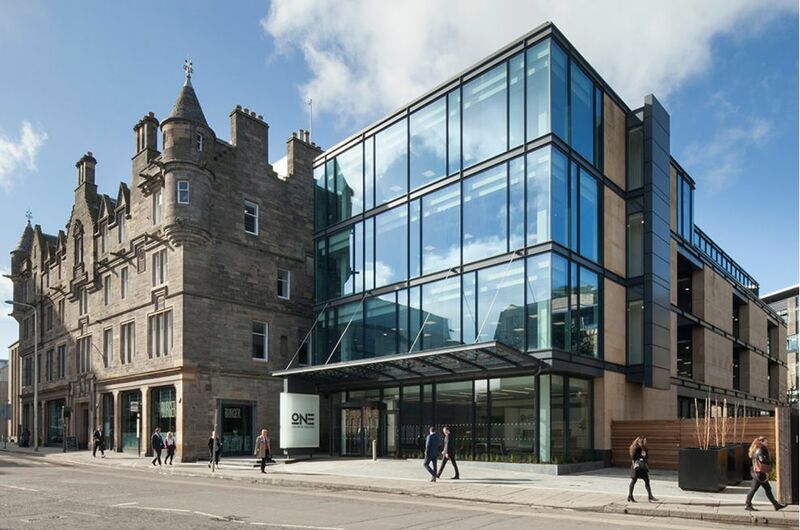 Edinburgh’s largest office building, One Lochrin Square delivers 64,000 sq ft of Grade A office space, and has been re-opened in 2017 following an extensive overhaul. 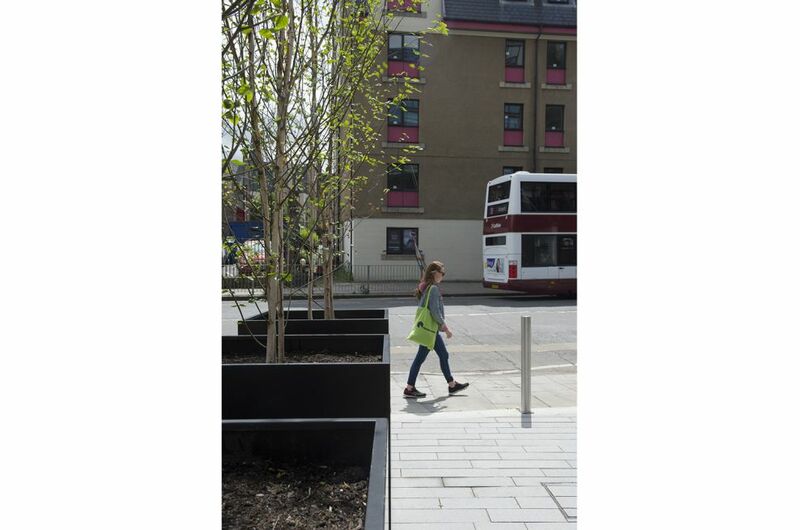 One Lochrin Square forms part of the Lochrin Square development, in the heart of The Exchange District of Fountainbridge, Edinburgh.